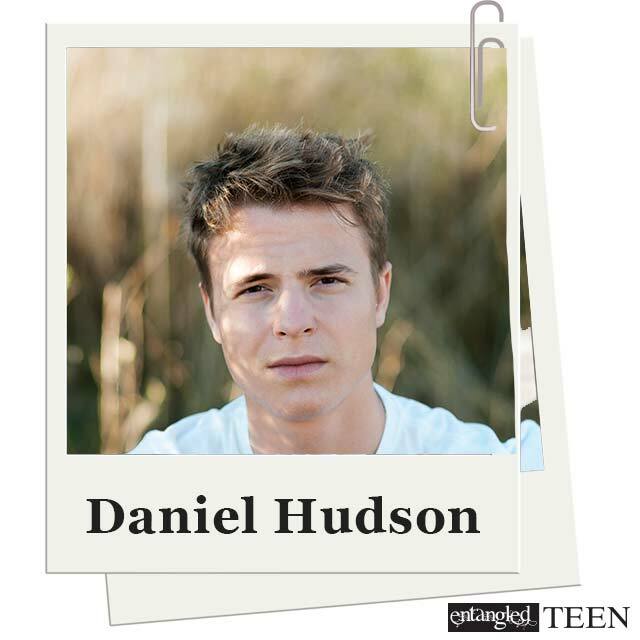 You Are Here: Home » Around the Web » Swoon Sunday: Daniel Hudson from Katherine Fleet’s The Secret to Letting Go! Daniel, why don’t you describe yourself to us? Maybe I should just send you a picture…no? All right, well, it’s kind of weird for a guy to describe himself, but here it goes. Six foot one, 170 pounds, hazel eyes, and golden brown hair. Hey, I’m pretty much every girl’s dream come true! Okay, only kidding about that last part. Wait…are you actually going to print that? God, if my twin sister, Amelia, reads this, she’ll never let me live it down. Right now, I work at my dad’s sporting goods store. It’s nothing glamorous, and it’s just until I go to college in the fall. But, hey, if I didn’t work there, I’d never have met Clover Scott. She needed a camp stove, but she looked and acted like no other customer that ever walked in. The first time I met her, I knew there was something special about her. It’s not easy to describe, but she just…draws people in. I knew I wanted to see her again. Sorry for running on like that. It’s just that Clover is really easy to talk about. Canna Point, Florida, in the good old US of A. It’s a small town on the Gulf Coast, north of Tampa. My mom’s family was part of the town’s founders, something my Gran is very proud of. I’ve lived here my whole life. I should love it, but honestly, I can’t wait to leave in the fall for Georgia Tech. Canna Point holds a lot of good memories, but also some bad ones. Actually, the worst memories of my life are here. My tastes are kind of eclectic. So, right now I’m listening to…Johnny Cash. That’s really old school of me, hey? The man in black. Apparently, I am really good at saving Clover. Man, that girl has the biggest tendency to land herself in trouble. Besides that, I am a mean golf player. I know, I know. You probably think it’s a sport for old people, but tell that to players like Jordan Spieth and Rory McIlroy. Besides, golf is responsible for my athletics scholarship, which is giving me a full ride to Georgia Tech. Oh, and maybe this is not something to brag about, but Ido have the amazing skill of over-analyzing and over-thinking every part of my life, and also looking out for my twin sister, Amelia, who was somehow born without any impulse control whatsoever. Maybe I got all of hers back when we were in the womb together! I thought I was already living my dream – leaving Canna Point, studying to be an engineer, playing on a college golf team. But since I met Clover, I’ve been starting to wonder. Maybe I play it too safe. Maybe I overthink things. Maybe since Grace I don’t allow myself to really feel things. 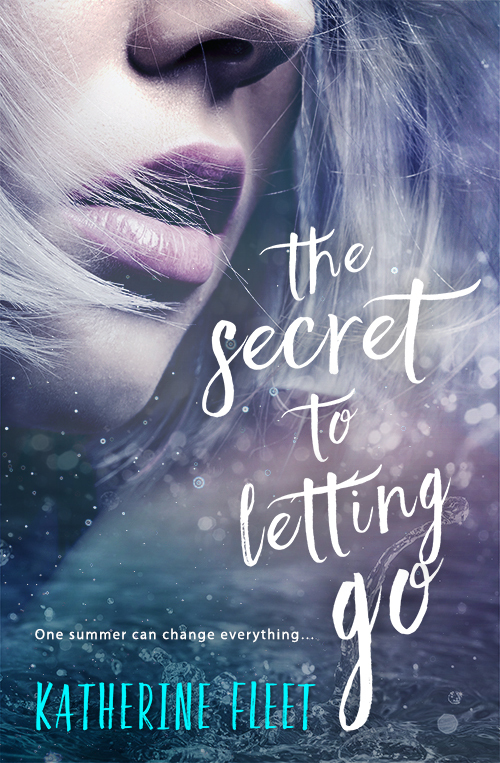 So maybe that’s my secret dream – to learn to let go a little. Of course, I also want to know what Clover’s hiding. You don’t have to be a genius to figure out that girl went through something messed up in her past. I really wish she’d trust me with the truth. I can’t talk about that. I mean, no offense, but this interview will be read by a lot of people, a lot of strangers, and this regret – it’s not something I like to talk about. Who knows? Maybe someday I’ll share it with Clover. Okay, you really have to change topics. This falls into the same category as the last question. Next question, please. Ahh, now you’re talking. Favorite dessert? Anything Clover bakes. Seriously, that girl can bake a mean pie and her cookies are amazing. As for food, it’s pepperoni pizza all the way. Something casual and easy – dinner and a movie, a walk on the beach. The beach is my favorite place in the world. Surfing, golf, hanging out with my friends and Amelia. Since I met Clover, my new favorite pastime is just watching Clover react to all the things I take for granted. Not sure how an eighteen year old living in America cannot have been to the movies before, but…it’s true. Fruit Loops or Lucky Charms (or both)? Lucky Charms, and I save the marshmallows for last. Okay, when you asked if I’d do an interview, I never pictured you questioning my peanut butter preference, but hey, if this is what your readers want to know…sure. It’s smooth. Do you also want to know my favorite type of jam? That would be strawberry. Put them together and hey…you have my favorite sandwich. Anything else you want to know? No. Well, I’d just like to thank any readers out there for checking out this interview. I never figured I’d be a celebrity like this! I didn’t bother asking her how she’d never been to a movie theater before, because I knew she’d only dodge my question. She was an eighteen-year-old American who knew nothing about boy wizards with lightning marks on their foreheads or mind-reading vampires that glittered in the sun. But as much as I questioned her, she’d perfected the art of avoidance, redirection, and flat-out refusal. It was a Catch-22. I loved watching her discover all the things I took for granted, but I hated the constant reminder that she didn’t trust me. Even after I’d told her everything about Grace. My mind kept coming up with possible explanations for Clover’s lack of experience with the modern world. Some were far-fetched like she was a time traveler or an alien, but deep inside, I knew the truth was something dark and ugly. I also knew her fear of storms and law enforcement came from that same shadowy place. More than anything, I wanted to help her, but it was impossible until she trusted me. My fingers squeezed her knee. “Here, try this.” I tore open my bag of M&Ms and sprinkled them on top of her popcorn. She didn’t need any extra encouragement. She tucked into a handful and then moaned. “It’s so good.” A piece of popcorn flew out. She slapped her hand over her mouth until she finished swallowing, and her cheeks turned pink. She leaned closer, and her lips settled against mine. Her kiss may have been salty from the popcorn, but it still tasted warm and sweet, like Clover. Her hand curled around my neck, and her popcorn bag crinkled between us. I buried my hand in her soft hair, anchoring her to me. She grabbed my arm and settled it around her, leaning back into my shoulder. “You’re the one who’s amazing,” I whispered, but I wasn’t sure if she heard because just then the screen lit up, and she gasped.